The specific Villa Artemis is 150m2 with 800m2 of land, in two levels with 5 bedrooms (two large master with unsuited bathrooms) one more bathroom and one WC with a small shower. The villa is equipped with all the electrical appliances(built in oven and dishwasher, fridge, washing machine, etc. The villa is situated at the best location of the island because it is very hard to find in all the Cycladic islands such a location combining all the major advantages of a summer home that are: first its windless even if the strong northern winds known as Meltemia the unique sandy beach waters of Krios/Marchello, are calm to enjoy the crystal clear turquoise waters without been sand tortured, second the unblocked view towards the sea and the town lights at night that reflect on the sea create a magic scenery, third it’s a very quite location and its only 2km of 30min walk to the main port and town of Parikia and last and most important, the area is characterized as special beauty land. Travel Assistance : Privet speed boat trips with skipper for island hopping and all kind of water activities and sports can take place on the island. Clients can book a privey lesson with a pro tennis coach. 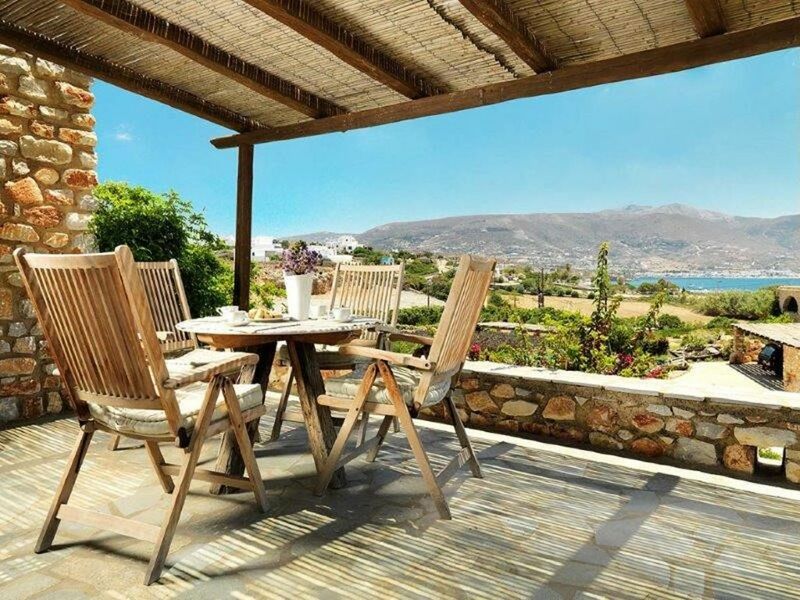 Villa 'Artemis'' is located at the top spot of the Cyclades on the island of Paros at Krios. Its a quiet location that combines all one can ask, for a perfect vacation. The Villa is situated at the end of the Parikia Bay right in front of Krios/Marchelo a sandy windless beach that has crystal clear turquoise waters, with breathtaking unblocked view, especially at night when the lights of the town and boats coming in and out of the port reflect on the sea creating a magic scenery which is unique. The main town and Port is only 2km or 30minute walk which make it very convenient when you need to go out for shopping or dine fresh fish at various Greek taverns or choose from a wide variety of excellent restaurants.